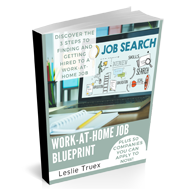 The most difficult part of a work-at-home job hunt isn’t in finding jobs to apply to. 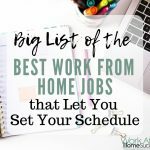 The truth is, finding legitimate work-at-home jobs is easy, if you look for the right jobs in the right places (don’t forget WAHS has a free work-at-home job board). The hard part to getting a work-at-home job is getting hired. Employers are notoriously bad at letting you know what’s up with your resume. Many times you’re not sure if the employer even received it. But even with a notification that your application was received, you may never here from the employer. Without feedback, you can’t know what’s wrong so you can improve your applications. 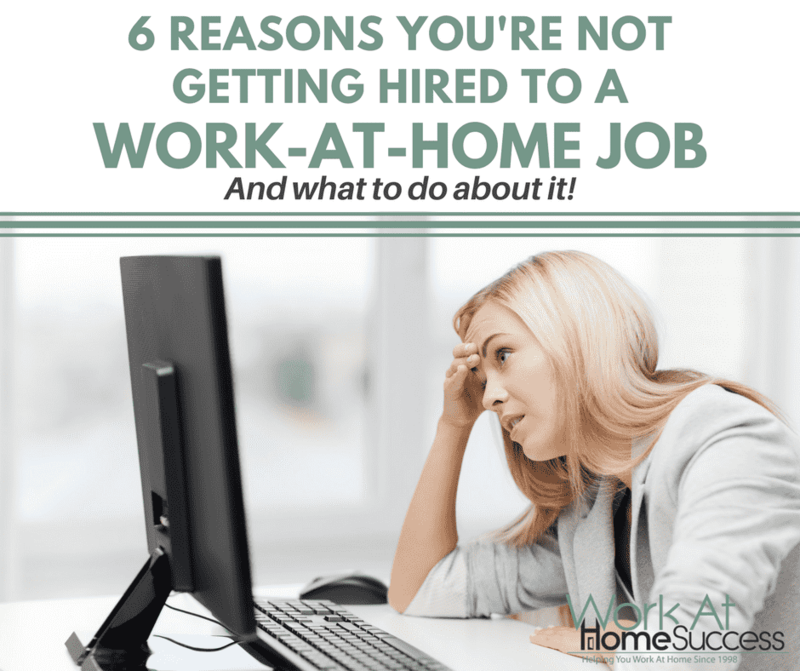 If you’re doing what needs to be done to find work at home jobs, but aren’t getting hired, here are 5 possible reasons why and what you can do about it. 1. 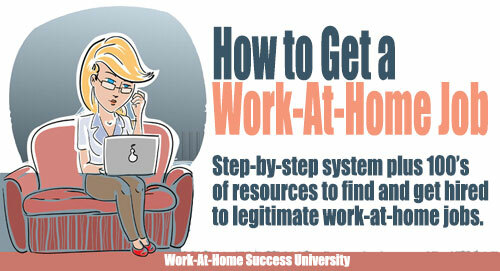 You aren’t qualified for the work-at-home job. I’m all for applying to work even if you don’t meet all the requirements. Why? Because few people meet every single requirement of the job. However, you must meet the important requirements. If the application says you need to have a specific number of years of experience or a degree, those are requirements that you probably can’t get around. What to do instead: Don’t waste your time applying to jobs in which you don’t meet the fundamental requirements. 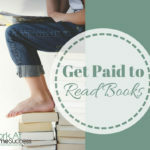 Instead find jobs that you meet the basic requirements for, or get the needed skills and experiences necessary for the job. 2. You don’t stand out from the crowd. 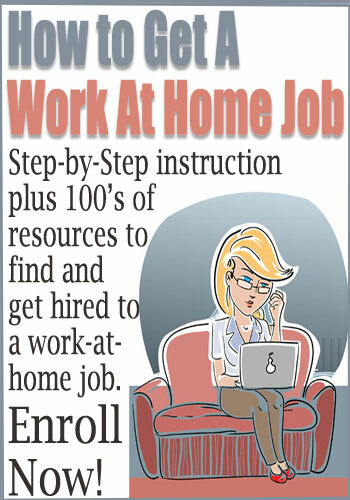 Competition for work-at-home jobs is fierce. If your resume or application doesn’t stand out from all the other job applicants, you won’t get hired. The best way to stand out to get a job, is to tailor your resume or application to the specific job. What to do instead: Don’t just submit a list of your skills and experience. Do a little research on the company, and tweak your resume to fit company (what it does, the market it serves, etc) and the job. 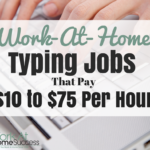 If the job is a virtual assistant for a real estate company and it wants someone who can type fast, include information that shows you know it’s a real estate company and can work in that industry, as well as your skills and experience in typing fast. A resume is a marketing tool, and the best marketing speaks directly to the buyer, which in this case is the employer. 3. You didn’t follow directions. 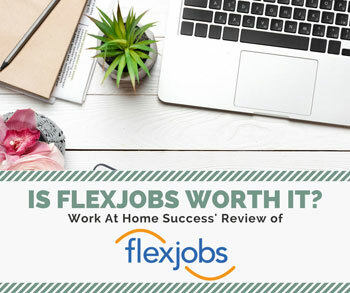 FlexJobs has an article in which an employer indicated that half of the people who applied for a job made dumb mistakes that got their application rejected immediately. One of these no-nos was not following directions. Not following directions may seem like a no-brainer, and yet it’s a common complaint among businesses that need to hire help. Often, people don’t follow directions to try and stand out from the crowd (number 2), but not following the instructions in the job post tells a potential employer that you don’t follow directions. Who wants to hire someone who can’t do what they’re told? What to do instead: Follow the directions and stand out by being the perfect hire for the job (number 2). 4. Your application wasn’t professional. What to do instead: Include a cover letter that highlights your understanding of the company and the job, and includes a few of the skills or experiences you have that fit the job duties. Proofread your resume or application. Better yet, ask someone else to check it as you may not see all the errors. Finally, have a professional email. [email protected] or [email protected] doesn’t exude professionalism. Instead, create an email with your name. 5. There’s too much competition. You may actually be the perfect person for the job, but there are so many other applicants, your submission doesn’t get reviewed. 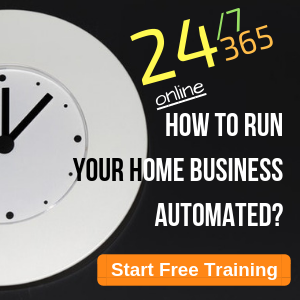 What to do instead: The best way to avoid this, is to apply to jobs as soon as possible after they are posted. That means you need to search for jobs on a regular basis. WAHS sends jobs by email twice a week, and has a free job board you can check any time. 6. Your application was lost. I’m convinced that somewhere in the universe floats millions of lost emails and digital submissions that never made it to their destination. What to do instead: In the case that you haven’t heard back because of a lot submissions, it’s okay to follow up to check that your submission was received. Note, be careful when following up, as you don’t want to annoy the employer. If there are specific instructions that say don’t contact the employer, then you may not want to follow up, and instead just keep looking for a job elsewhere. When you follow up, simply give your name, what job you applied for, the date you submitted your application, and that you’re wanting to make sure your submission was received. 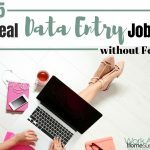 Finding and applying jobs is straightforward, but attracting the attention of employers and getting hired is hard. 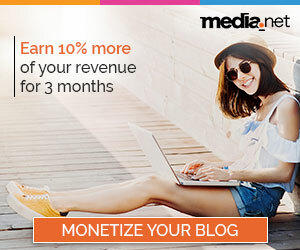 You can improve your chances of getting noticed and hire, by following the tips above.